Texas Democrat Rep. Beto O’Rourke is campaigning to become a U.S. Senator and unseat Sen. Ted Cruz — without any interest group money. “Running this campaign without any corporate help, without any DNC party bosses, without the consultants, the pollsters, the PACs, the super PACs, the corporations, the special interests is the most honest, raw, authentic, real way to possibly do this, and it feels so good,” O’Rourke uPolitics.com in an exclusive interview at SXSW in Austin. O’Rourke thinks that taking donations from these groups can lead politicians to focus on “dialing for dollars” and listening to those with more money instead of those they want to serve and represent. He criticized Cruz’s focus on states he needed to win for Presidential primaries instead of spending time serving Texas just months after being sworn in as one of the state’s senators. He wants Texas to lead the country on certain issues, and he believes in representing everyone, no matter their age or political affiliation. Read uPolitics’ full interview with O’Rourke below. Why are you the best candidate to represent Texas? Beto O’Rourke: I’m doing my best to represent everyone. Not just Democrats in Texas — all 28 million of us, no matter how young, how old, what party you typically vote for or whether you can vote at all. Each one of us should be able to contribute to our highest potential, earn enough to make a living wage and give back to our communities; be able to see a doctor or provider or afford our medication so that you’re well enough to go to school or go to work or create whatever you’re supposed to do in life; raise your family, give back to the success of this country. If you’re laboring in the shadows today without citizenship, I want you to be able to do everything within your potential as a U.S. citizen so that you can fully give back to the success that this country has allowed you to enjoy. There’s no Democratic or Republican issue there. These are universal values in Texas, and it allows Texas to lead this country in the direction that we are desperate for — the big, ambitious aspirational goals that used to distinguish this country. We need to get back after the big stuff and leave aside the small, the petty, the paranoid, the anxious — be big again. And that’s what I think Texas can do going forward. Have Ted Cruz’s ambitions gotten out of hand? 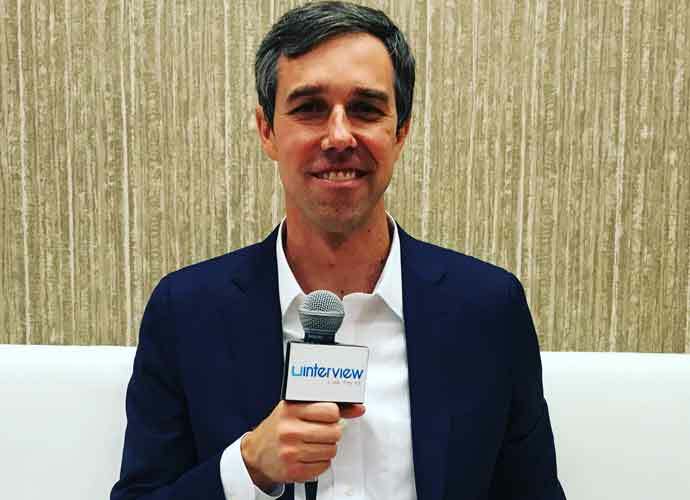 O’Rourke: You know, within months of being sworn in as Texas’s senator, he left Texas for Iowa. He visited all 99 counties of Iowa, he went to New Hampshire, South Carolina, Nevada — the Republican Presidential primary states — to spend time listening to those people instead of serving those that he was sworn to serve and represent here in Texas. There are 254 in Texas, and every single person in every one of those counties — no matter how red, how blue, how rural how urban — is deserving of the common respect of being heard and listened to, respected and fought for. That’s what Texas deserves. That’s what Texas is missing from a Senator that not only left the state, but shut down the government of the United States for 16 days in 2013 because maybe too many people had health insurance — maybe now folks didn’t have caps on lifetime coverage or could get insured even though they had preexisting conditions — [and] thought that the Affordable Care Act was the single greatest danger to the United States of America and was willing to put his ideology, his party, perhaps his career, in front of this country and our future and the things that we can do by and for one another. I think Texas deserves better, and I know that Texans from all backgrounds, all walks of life, all stripes, Republicans, Independents, Democrats alike, are willing to do the big, tough work before us to make sure we can deliver on that promise. What’s your position on gun control? O’Rourke: We have this wonderful tradition of gun ownership in Texas — for hunting, for self-defense, for collection, for sport. I was taught to shoot by my great-uncle Raymond, who was an El Paso sheriff’s deputy, was a jail captain at the El Paso County Jail, and taught me not just to shoot, but the responsibility of owning a gun and the importance of making sure that we’re safe, for ourselves, for our families, for those in our lives. We could be the state that leads the country and helps show the way in ensuring we have universal background checks for every single person who purchases a gun — and there were more than 3 million gun purchases last year where there was no background check conducted whatsoever in the United States of America. We could save the lives of more people in our lives by doing that, and we could also be the state that says for those weapons of war, an AR-15 designed for the sole purpose of killing people as effectively, as efficiently, in as great a number as — that AR-15 should be put in the hands of a soldier. not in the hands of a civilian who could use it to slaughter people in a school, in a church, in a concert, on the streets of our cities. Texas can lead the way on this, and I think it’s a great opportunity for us, and I want to make sure that we make the most of it. How did you raise money for your campaign? O’Rourke: When members of Congress and Senators and those aspiring to elected office raise their money from PACs — Political Action Committees — from corporations, for those who have literally legislation pending for those members of Congress, they’re forced into these boiler room, call time offices where they’re dialing for dollars, listening to those who can write the biggest checks instead of those they want to serve and represent. Running this campaign without PACs, without corporations, without special interests forces us to be on the road, to show up Pittsburg, Texas, in Atlanta, Texas, in Pecos, Texas, in Austin, Texas, in Laredo, Texas, in all 254 counties of Texas, and hear from those who have the issues that we want to work on, the ideas that we’re going to lead with, the things that are going to make this country better, it’s honest, it’s real, it’s outraising Ted Cruz, the sitting junior U.S. Senator who does take PAC money, by hundreds of thousands of dollars. So it also, I think, happens to be the best way to win an election, to make sure that this become the new model. The Texas way is the way that this country gets our democracy back, and I’m grateful to be a part of it.